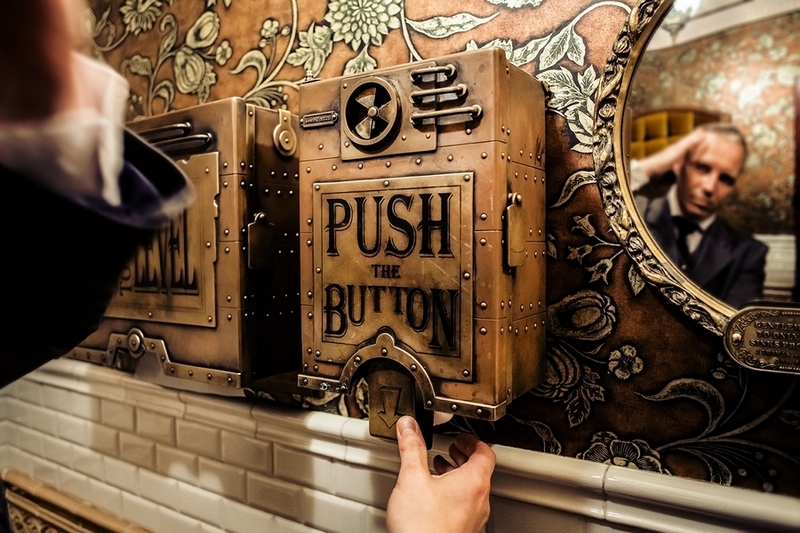 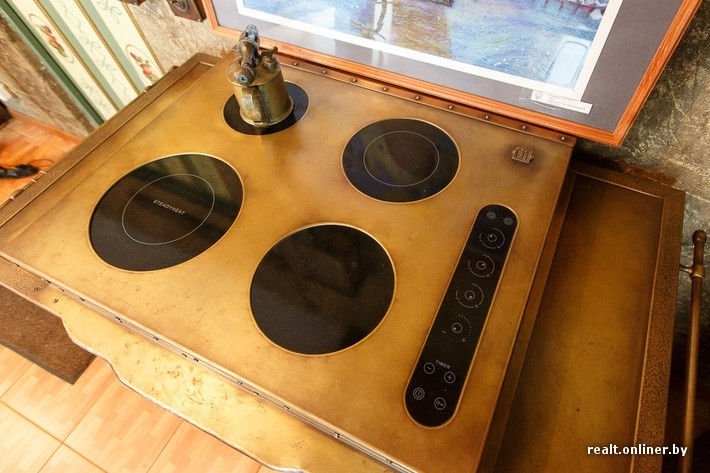 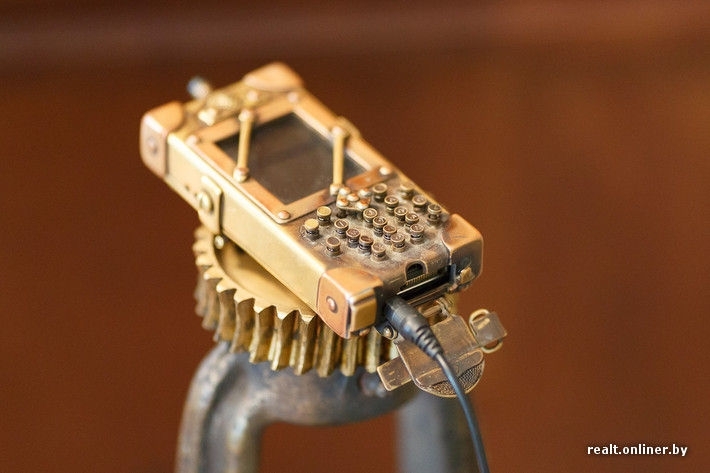 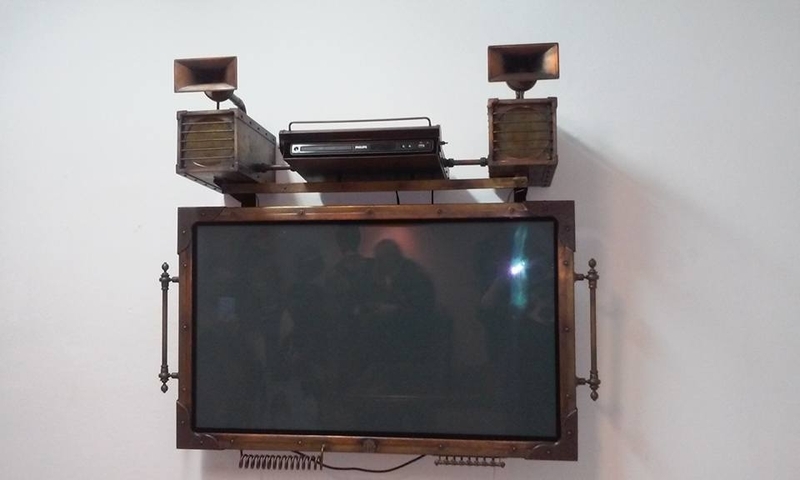 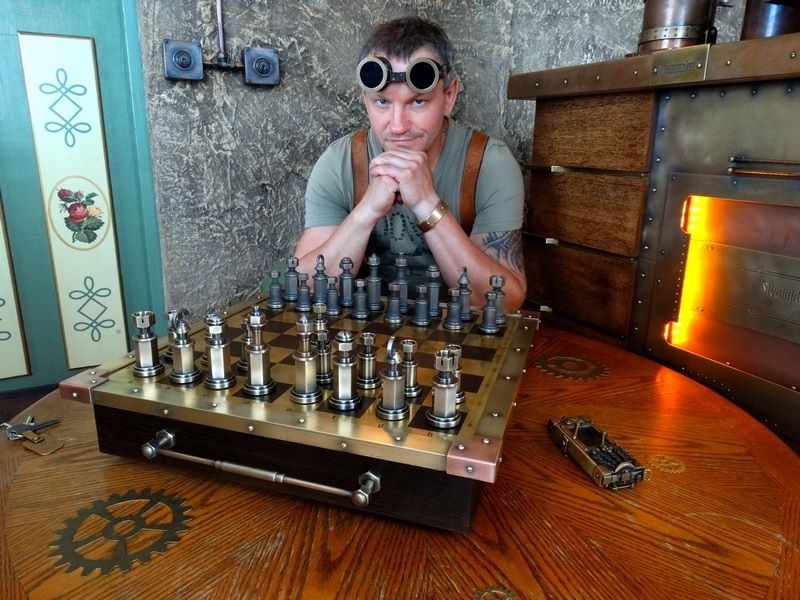 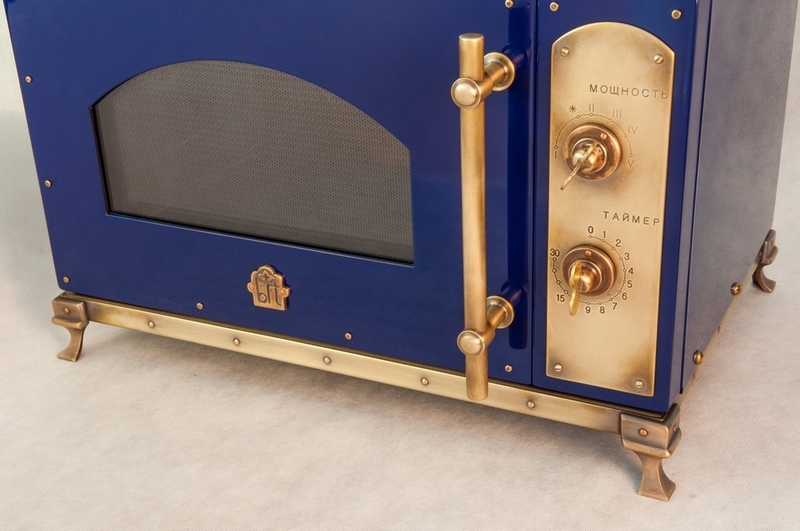 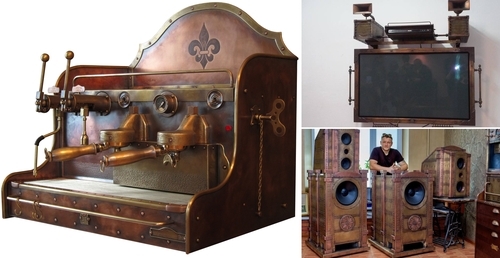 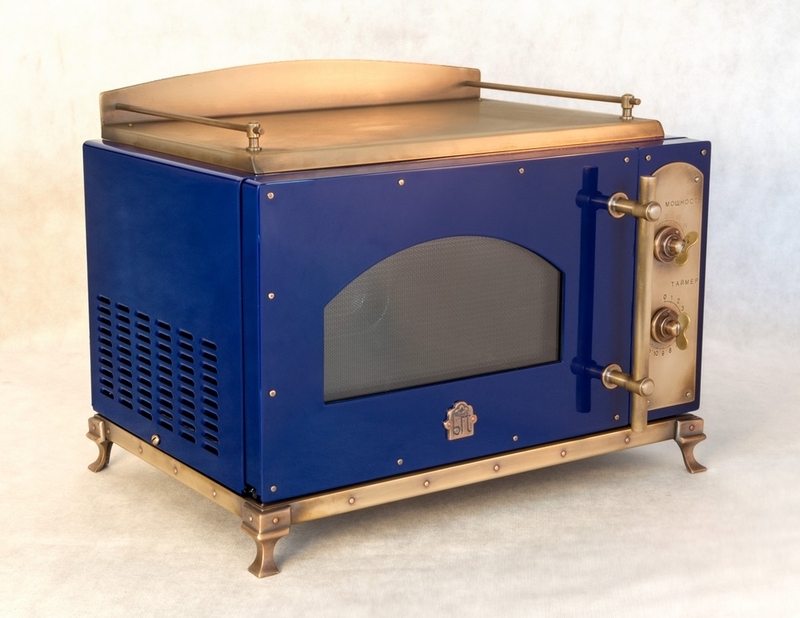 From a chess board to stereo speakers and a microwave, transformed into a steampunk, one of a kind. 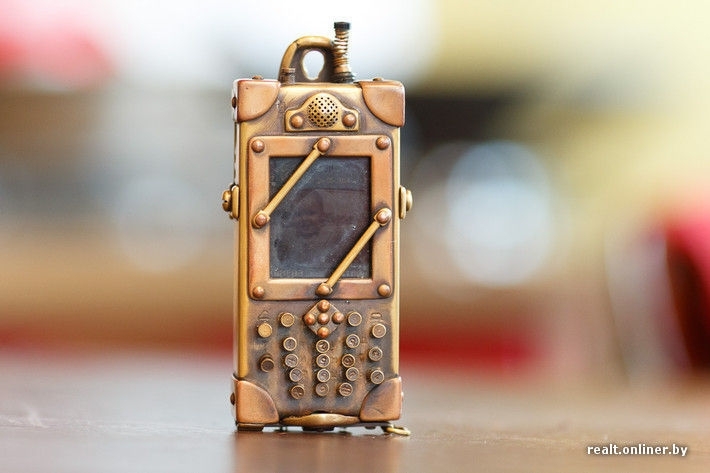 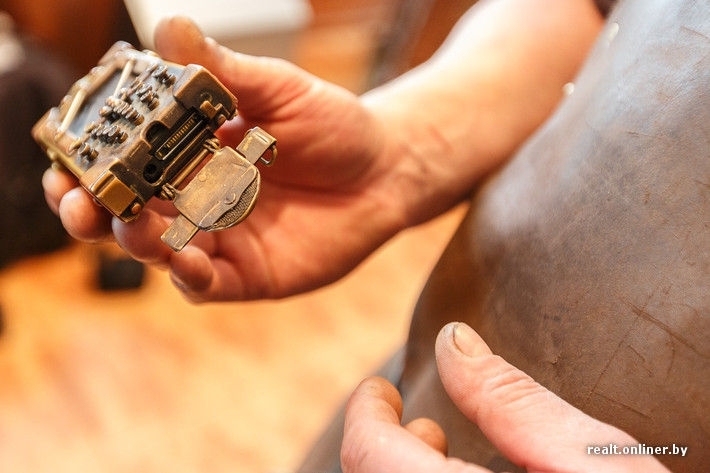 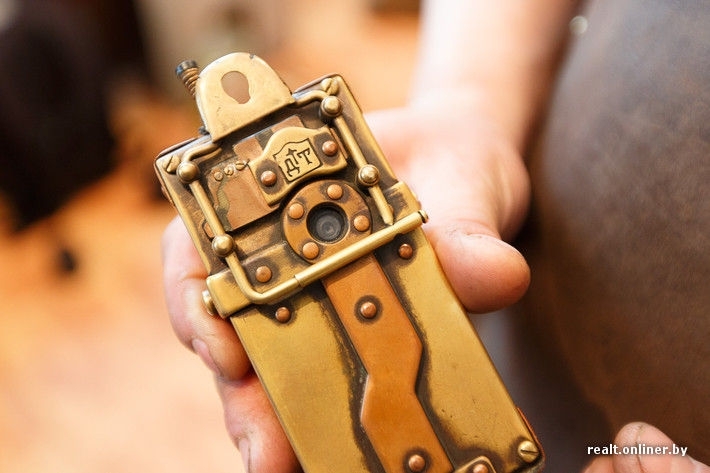 Belarusian Sculptor and Artist Dmitry Tihonenko, takes all sort of items and by adding a copper and many painstakingly accurate details, not only makes these accessories beautiful to look at, but also a unique and functioning piece of art. 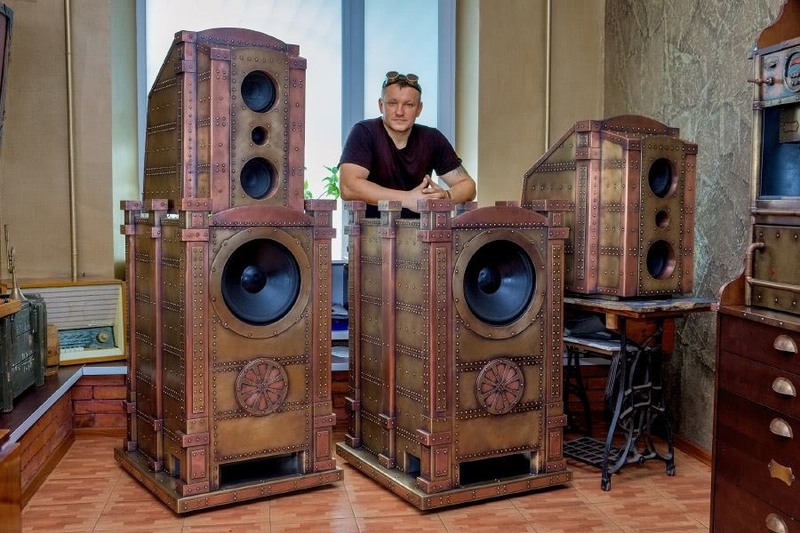 The following is a quote from Tihonenko: "The hobby with metal began in the army, when I served in the Northern Fleet in the Barents Sea. 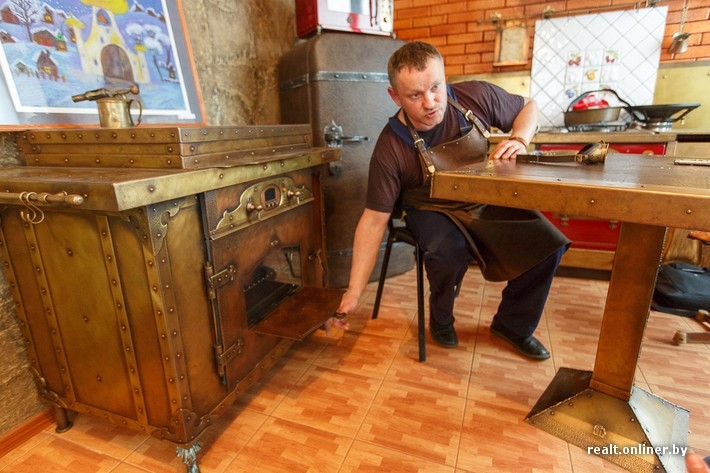 On the ship, there are many details made of copper, which you regularly have to scrub. 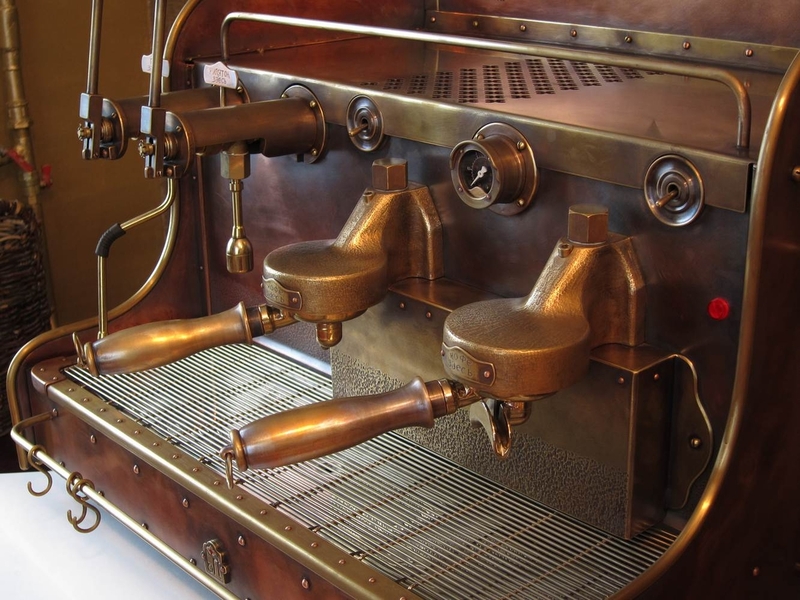 Gradually it turned into a habit". 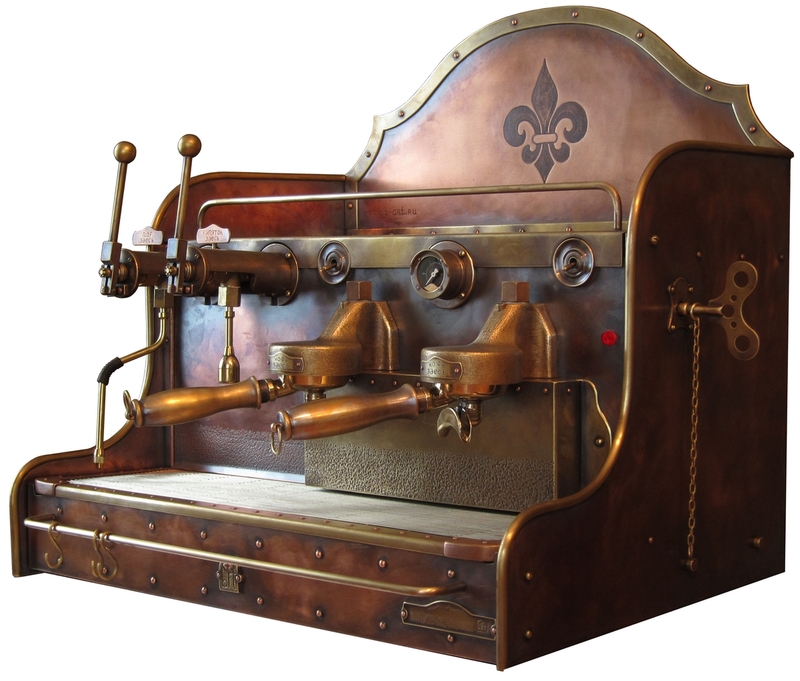 Coffee machine copper brass bronze. 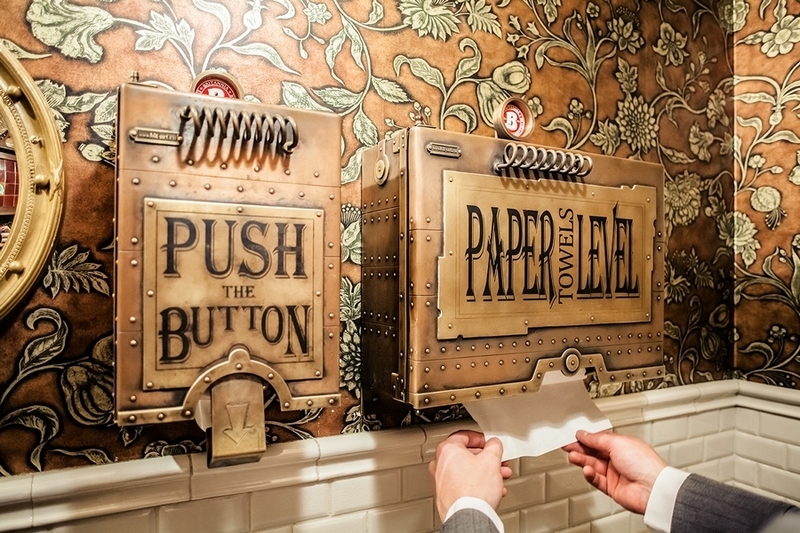 Paper Dispenser and Hand Dryer.